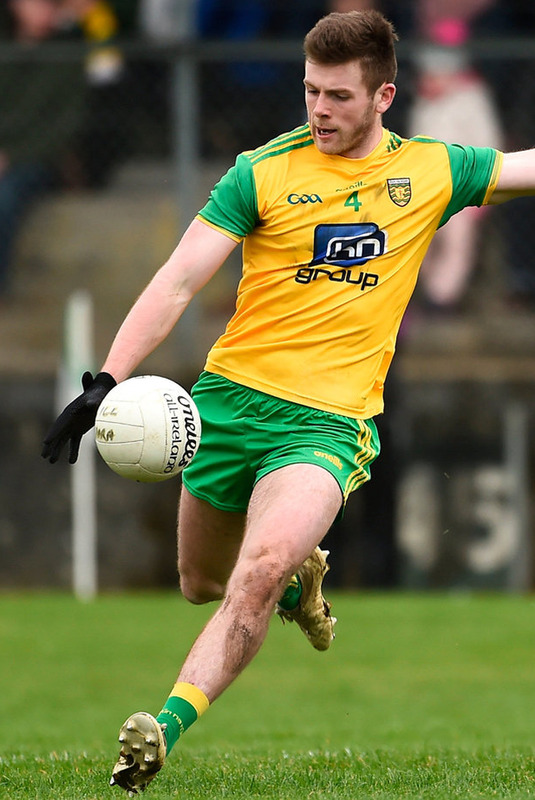 Donegal are back in Division One after recording a hugely convincing victory over Kildare in Ballyshannon. Jamie Brennan's 46th-minute goal helped Donegal dispose of the Lilywhites. Donegal were dominant from start to finish, spurred on by youngsters Oisin Gallen and Niall O'Donnell, who contributed a combined seven points. "They're two very young lads, but they're learning all the time," manager Declan Bonner said. "It's nice to get back into Division One. That's what we set out to achieve at the start of the year, to get back up with the big guys again. "We want to be in the top tier, we want to be winning Ulster and in the Super 8s. We're just like any other team with ambitions." 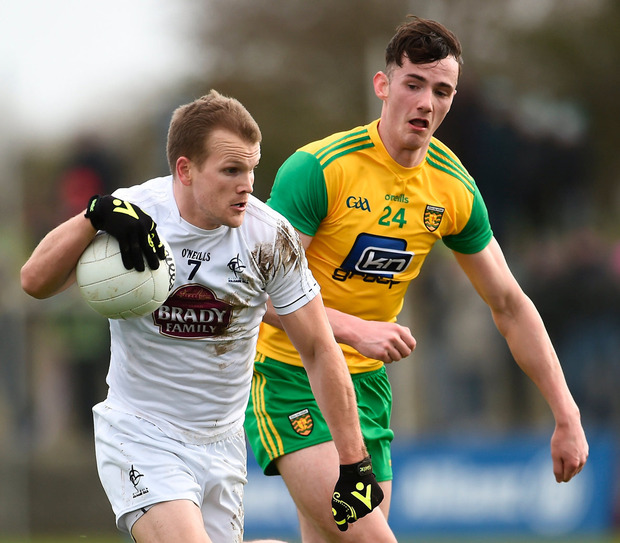 Donegal led 0-13 to 0-1 at half-time, with Kevin Flynn scoring Kildare's sole first-half point. Eoin Doyle was black carded just after the break and Flynn was soon sent off as Kildare's afternoon unravelled. Jason McGee fed Jamie Brennan for a goal that put Donegal 16 points ahead. Bonner added: "We had some excellent scores in the first half and we were in total control in the second. "There was a very stiff breeze, but our second-half display was very controlled. It was very, very good." 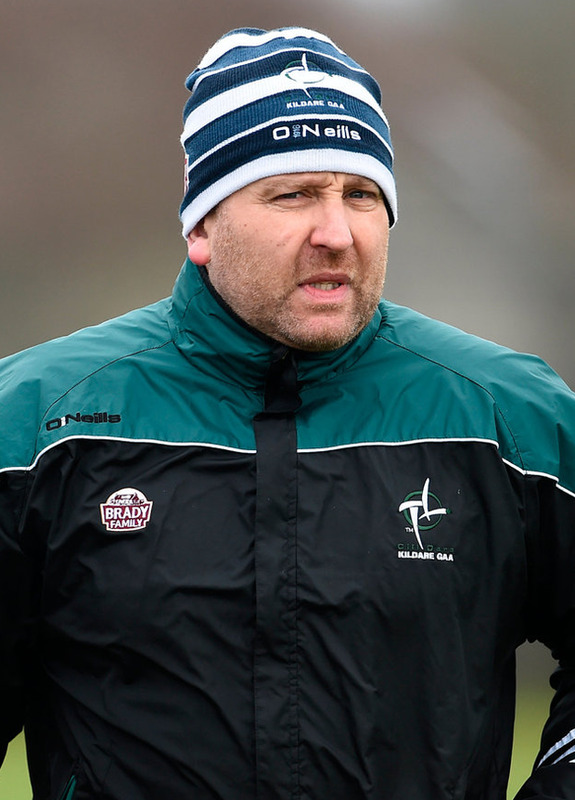 Kildare boss Cian O'Neill cut a frustrated figure afterwards. He said: "Those guys are better than they showed. We've seen glimpses of it. "We need to look at ourselves because it's no-one else's fault. It's not just about today. "We went totally off-script. We need to look at where we're at as a group." Donegal - S Patton 7; P McGrath 7, B McCole 7, S McMenamin 7; D Ó Baoill 7, L McLoone 8, E Gallagher 7; H McFadden 7, J McGee 7; N O'Donnell 8, R McHugh 8, C McGonagle 7; O Gallen 8, M Murphy 8, J Brennan 7. Subs: N McGee 6 for McCole (57), E McHugh 6 for Ó Baoill (61), P Brennan 5 for Gallen (63), F McGlynn 5 for McLoone (67), C Ward 5 for R.McHugh (68). Kildare - M Donnellan 6; D Hyland 6, M O'Grady 5, K Flynn 6; C O'Donoghue 6, E Doyle 5, P Kelly 6; K Feely 6, T Moolick; F Conway 5, P Brophy 7, K Cribbin 5; N Flynn 6, C Healy 5, J Hyland 7. Subs: A Tyrell 7 for Cribben (half-time), J Murray 6 for Conway (48), A Masterson 6 for Flynn (53), T Archibald 5 for Brophy (57), M Barrett 5 for O'Donoghue (62). Ref - P Neilan (Roscommon).